About Shantel | Justice for Shantel Davis! On June 14th 2012, Shantel Davis, a 23 year-old African American woman was brutally shot and killed by narcotics Detective Philip Atkins. 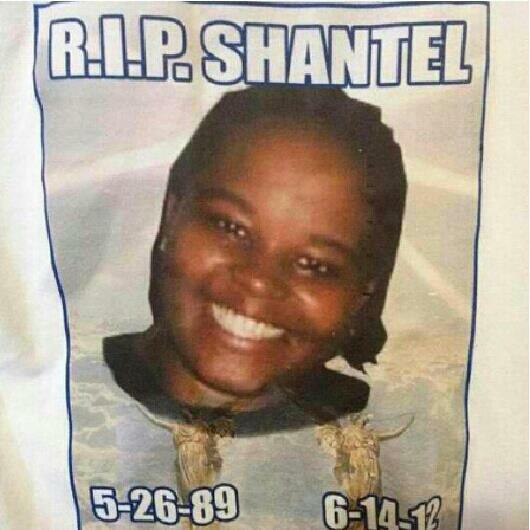 Shantel Davis was born on May 26th, 1989 at Kings County Hospital. Shantel was a loving and respectable young woman who loved life and enjoyed her own to the fullest. She had a smile as bright as day and a warm embrace. Shantel adored animals, loved cooking and was a missionary. During the first seventeen years of her life she devoted her Sundays to the Thriving Temple of God in Christ, attended Sunday school, became the church Sunday School Secretary and joined the Thriving Temples Junior Choir. She cared for the elderly, sick and disabled. She had strength of character, came from a loving family, was kindhearted, generous and had an enormous heart. That was the kind of person Shantel was. 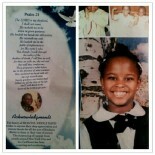 Shantel was a beautiful woman with great promise. Shantel’s untimely death has become a call to life for our community; through her ending is a new beginning. In Shantel’s name we have begun a struggle—one that aims to indict Detective Philip Atkins and expose the racist brutality of the New York City Police Department. Enough is enough! We will win true justice for Shantel, her family, our community and all those who continuously suffer such tragedies—this will be Shantel’s true legacy.